Second annual conference in Los Angeles explores the complex relationship between water conservation and Legionella prevention in premise plumbing systems. 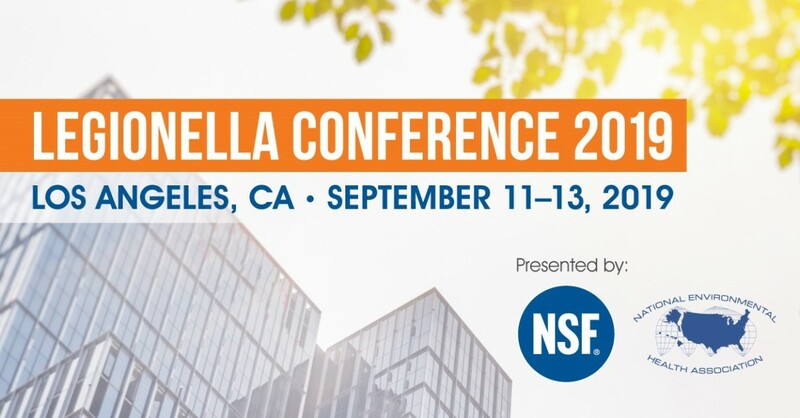 DENVER, Colo. – NSF International and the National Environmental Health Association (NEHA) will host a public health conference focused on water conservation and the prevention of Legionella and other waterborne pathogens September 11–13 at the Westin Bonaventure Hotel in Los Angeles. The second annual Legionella Conference, Building Water Systems − The Sustainability & Public Health Nexus, will bring together thought leaders and presenters from the public health, sustainability, water management, water utility and academic communities. Editor’s Note: For media interviews, please contact Thomas Frey, APR at +1.734.214.6242 or media@nsf.org.